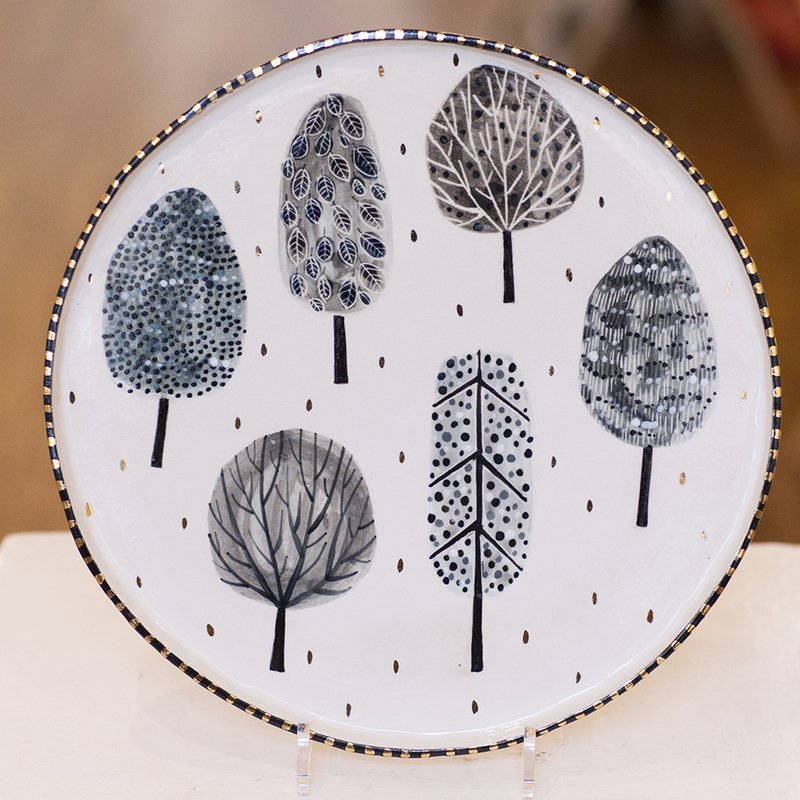 Karen Risby creates contemporary ceramic sculpture, wall hangings and porcelain accessories. 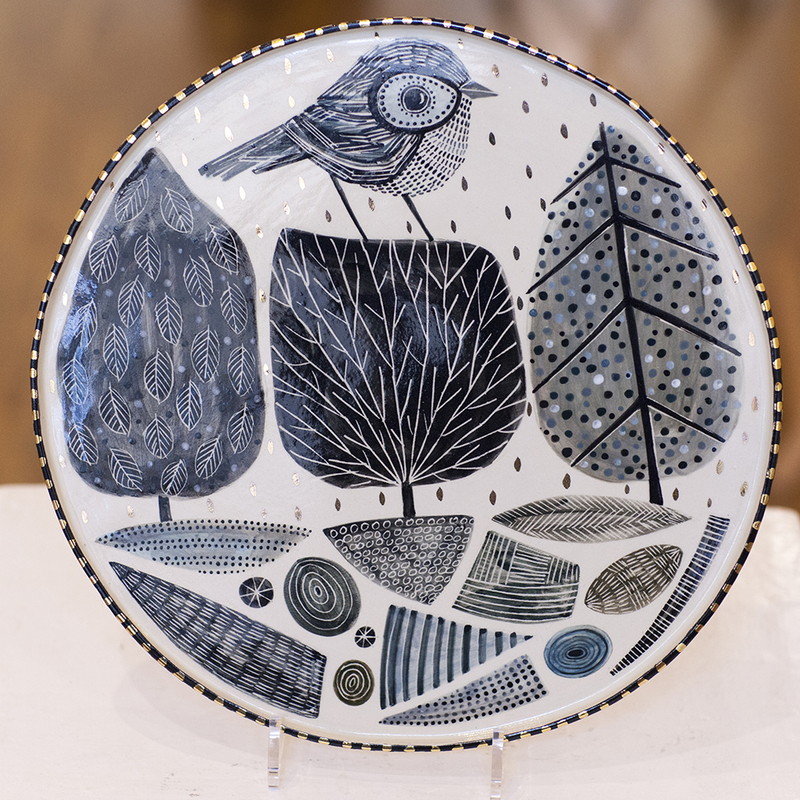 Karen’s work is an extension of her love of drawing, exploring pattern and line using both brushwork and sgraffito, a process that involves scratching back into the painted surface. She takes inspiration from nature, myth and story telling; birds, are a prominent feature of her work interweaved with landscapes, people and places. All work is handmade and hand painted with porcelain slip and decorated with ceramic stains, underglaze and oxides. After the bisq firing the work is glazed with a leadfree transparent glaze and fired to stoneware. Some work then has gold lustre applied and undergoes a third and final firing.